So you’ve decided to buy a house in Prescott, and now you’re ready to dive in and start looking at homes. House-hunting is far more than visiting a few homes and picking the one you like best. There are some things you can do to save time, money and most of all your sanity. In a competitive buyer’s real estate market it is more important than ever to get pre-approved for a mortgage before searching for a home. A pre-approval shows sellers that you are indeed a serious buyer and it lets you know just exactly what you can afford. We have a list of preferred lenders to make your offer more appealing to a seller. Buying a home is an exciting time and to save precious time make sure to sit down and make a wish list before you start booking your weekends viewing homes. A wish list helps you sort out just exactly what you are looking for, providing a clear vision that will save you time and money in the end. Just remember, no home will have everything on your list. Be ready to prioritize. From friends to family members everyone will have an opinion, too many opinions can cloud a sunny day. Although generally, the thought is that you will save money buying a home on your own, the seller is thinking the same thing. We recommend that you hire a Prescott Real Estate agent to represent you. Our buyer representatives specialize in helping you locate the right home or property, at the right price, right away. At Kathleen Yamauchi Group Real Estate combined we have over 100 years of real estate experience ensuring that you will find the home that fits your needs and avoid costly mistakes when it comes time to negotiate on offer. Contact Kathleen Yamauchi Group Real Estate or call (928)771-1111 to get started on your journey to find the right home at the right price in Prescott, AZ. Here are just a few of the things going on in and around Prescott, Arizona this weekend January 26 – 28, 2018! In the Main Gallery: "A Piece and a Poem 2018" featuring art and words by Prescott area artists. Things We Carry an Exhibition by Joe Castle features transformational works that range from the human form to configurations of animal remnants collected and rearranged, illustrating the journey of the hero. The Art Walk showcases regional & international photography, painting, sculpture, jewelry & wearable art ! Meander our streets & courtyards. Learn about the best seeds, soils, food, and techniques to bring on the color this spring. The PCO brings you music from both the Romantic and Contemporary eras of classical music, all under the direction of Associate Conductor, Peter Mueller. The mission of Prescott Farmers Market is to support and expand local agriculture, cultivate a healthy community and increase access to affordable local food. 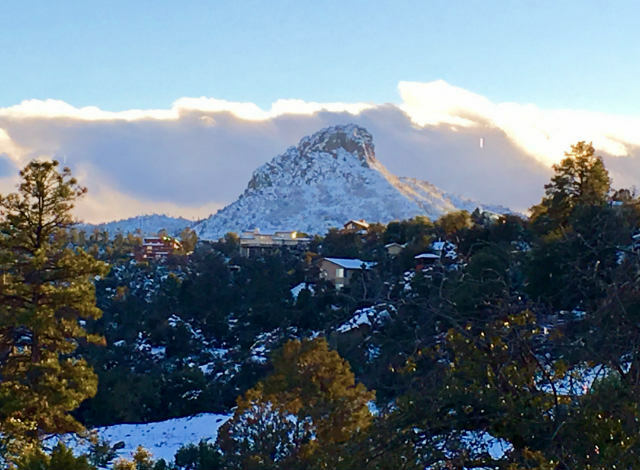 Here are just a few of the things going on in and around Prescott, Arizona this weekend January 19 – 21, 2018! View "I’ve Been Framed" Paintings by Annette Olson and Glass works by Cindi Shaffer. Hear music by local chamber players and special guests every month during the Third Friday Chamber Music Series. One of Arizona’s most honored and respected journalists, Jana Bommersbach, will take you on a verbal tour discussing some of the amazing women who came to the West in 1800s. The market is more than just a place to buy groceries. It’s a gathering space where you can see your community, meet the people who grow your food and support more than 20 local businesses all in one place. Learn the best practices for watering, light placement, and how to treat and prevent pests and diseases that can affect your indoor garden. Blending art with award-winning children’s books, this program introduces budding young artists to the wonderful world of illustrations. Many are familiar with the shootout at the OK Corral, but unaware that Virgil’s law enforcement career began on the streets of Prescott, or that his favorite western town was Prescott. The selection of chamber music will appeal to everyone who enjoys classical music. A classic black comedy/drama about "behind the scenes" Hollywood, self-deceit, spiritual and spatial emptiness, and the price of fame, greed, narcissism, and ambition. The Environmental Protection Agency (EPA) designated January as Radon action month in 1999 to raise awareness of radon. Although radon levels in Arizona are in general low, there are areas throughout the state where levels are higher. Why should I test for radon in my home? Radon is a result of the natural radioactive decay of uranium in rock, soil, and water. Radon can be found in all 50 states and low levels occur widely in the Earth’s crust. Radon rises through the Earth’s crust and can enter a home or workplace through items such as a water heater, sinks, showers, as well as microscopic cracks in a building´s foundation. Homes and commercial buildings are often well insulated, and windows are typically kept closed which can allow radon to build up. Radon is more commonly seen in areas of boulders or deep rock fissures. Testing for Radon is easy and inexpensive. Free kits are available in Prescott. 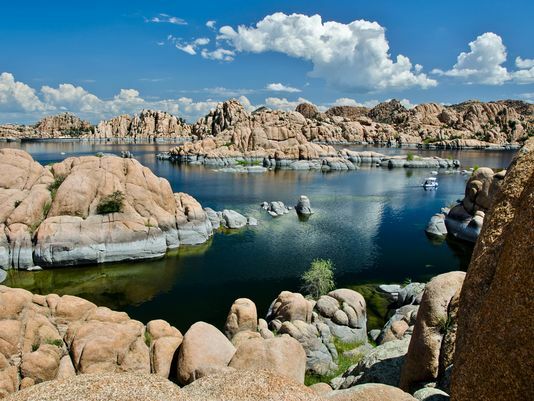 Thinking of selling your home in Prescott? Competing for buyers has made it more critical than ever to have your home pre-inspected before putting it on the market. A pre-inspection can give you peace of mind, more importantly, it will reduce the chance that a buyer will be turned off by a weak inspection report and walk away. Failure to have a pre-inspection performed on your home can also result in your home being pulled off the market to fix repairs. At Kathleen Yamauchi Group Real Estate we know what it takes to sell your home or land quickly at the highest possible value. With over 100 years of combined real estate experience, we truly understand this unique marketplace better than most. Kathleen Yamauchi spearheads a team of creative, highly skilled Real Estate Professionals sharing a common goal; to make your real estate transaction a smooth and pleasant experience. Kathleen is passionate about people and real estate. A creative thinker, she concentrates her energy on one thing, and that is being the very best at selling real estate in Prescott and achieving results that exceed her client’s expectations. Contact Kathleen Yamauchi Group Real Estate to learn more today or call (928)771-1111. Here are just a few of the things going on in and around Prescott, Arizona this weekend January 12 – 14, 2018! Fine Art Photographic Works by Prescott area photographers are on display. Actively practice moment-to-moment mindfulness with other interested individuals. 30 minutes of stories, songs, and fingerplays especially for children ages 3-5, and their grownups. The purpose of the flute circle is for like-minded people to meet and enjoy each other’s company while playing and listening to Native American Flutes. Meet with current volunteers and staff to learn how your interests and talents can support the mission to bring the wonders of nature to children and adults. Customers can find a variety of cold-hardy vegetables, including leeks, potatoes, beats, radishes, carrots, salad mix, parsnips, spinach, and kale. 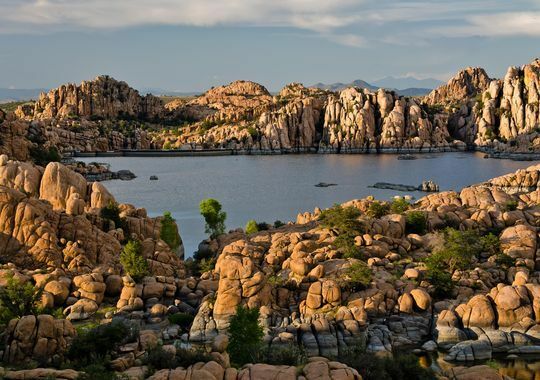 Here are just a few of the things going on in and around Prescott, Arizona this weekend January 5 – 7, 2018! View contemporary eclectic works in various media and style by Prescott area artists. Set in a small, charming house, visitors can sample wines in a comfortable environment. Enjoy a relaxing time coloring with other adults. Bring your favorite coloring book and supplies, or choose from those that are available. This fun winter event includes a pancake breakfast, ice cream eating contest, Ice Princess Pageant, Duck Slide Race, games, prizes, and the Polar Bear Splash. In the Mezzanine Gallery: "STEPS An Education Program Student Exhibit" features work from the fall 2017 class series for ages 5-16, and you get to meet the artists as well as enjoy their work. This market hosts 30 local farmers, ranchers, and food and craft vendors each week. Learn easy to medium levels of paper folding, led by an experienced paper folder. Singers and musicians are invited to strut their stuff at this open mic night. You can be your own solo act or be backed up by your favorite musician. Enjoy a showing of The Wizard of Oz as this classic tale comes to Technicolor life for one night at Elks Theatre. Realtor.com recently revealed their take on the real estate market in 2018, and after three years of a shortage of homes for sale they are suggesting a light at the end of the tunnel. According to Danielle Hale, chief economist for realtor.com “The majority of the year should be challenging for most buyers, but we do expect growth in inventory starting in the fall.” If the available homes for sale increase as predicted it will be the first gain in inventory since 2015. In short, a more significant share of the market will more than likely be comprised of first time home buyers in the latter part of 2018 as the supply of homes for sale increase.. Overall, based on the report the real estate market in 2018 could see quite a substantial shift in housing inventory and new home buyers. 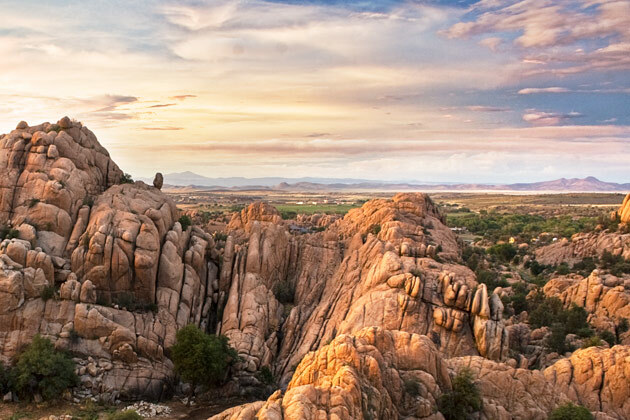 Are you looking to buy a home in Prescott in 2018? At Kathleen Yamauchi Group Real Estate we have over 100 years of combined real estate experience. Combine that with our watchful eyes continually on the real estate market and we truly understand this unique marketplace better than most. Our staff of expertly trained negotiators is always working on your behalf. Whether you are looking for a million dollar Prescott Arizona horse property or your first starter home, your goals and needs are our first and only priorities. Please feel free to look through our current homes and land for sale, but remember, for us to best serve your needs; we must learn what those needs are. Once we understand your real estate goals, we will move mountains to help you achieve them. Contact Kathleen Yamauchi Group Real Estate or call (928)771-1111 for a new home buying experience in Prescott.